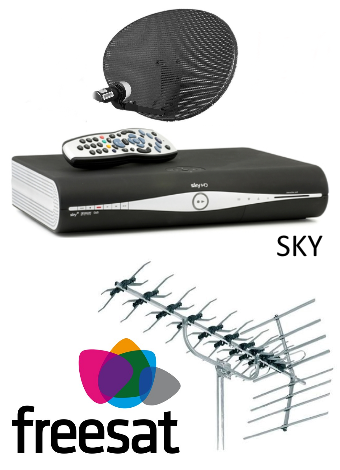 AM Aerials Installations's expert engineers can get you started with Freesat SD, Freesat HD and Freesat+. Not only do we offer Freesat, HD box and satellite dish installation, we also service and repair existing digital satellite systems. We're happy to provide free estimates for all new Freesat installations. Covering the South-East and London, we can also install Freesat if you have an existing Sky satellite or if you've already bought a TV with Freesat built in, but need a satellite. Freesat standard definition is the standard edition box. With over 150 TV & radio channels including 6 HD channels, all subscription free, you will never be at a loss for top quality programmes to watch. Freesat+ is designed for discerning viewers who want to be in control. As well the ability to pause and rewind live TV and record your favourite shows, Freesat+ lets you record in HD, record a whole series with one touch, organize your recordings into folders, bringing you brilliant On-Demand TV from the BBC and ITV, with 4OD and Demand 5 joining the ranks soon, the ultimate viewing experience. 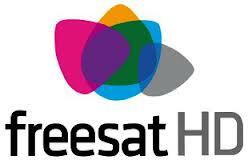 Freesat HD offers free high definition channels. With a Freesat HD receiver and HD ready TV, or Freesat HD integrated TV, you can enjoy the incredible picture quality and richer, more vibrant colours which really make your TV come to life. Your favourite dramas, natural history, movies and sport have never looked so good. And best of all, it's subscription free. Freesat HD includes six great HD channels – BBC One HD, BBC Two HD, ITV1 HD, Channel 4 HD, NHK World HD and Russia Today HD. Experience cleaner, sharper sound when you connect to a surround sound home theatre system. With up to five times more detail than standard definition, you'll experience television as you never have before.